Rain Cant Dampen My Birthday Spirit! This Sunday was my 4th Birthday! 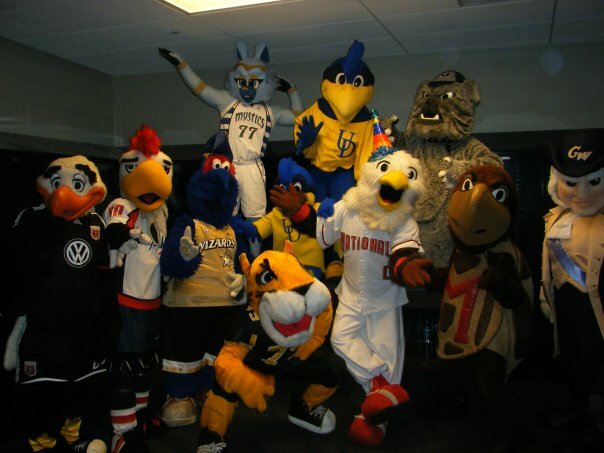 I had Slapshot, G-Wiz, Glory, Lucky, George, Jack, YoUDee, Doc, Testudo and Talon here at Nationals Park to help me celebrate the occasion. Unfortunately the weather did not cooperate with my plans, but we were able to have a great time regardless. My buddies and I hung out on the concourse of the Park and were able to greet a bunch of Nationals fans that were hoping for the game to begins. Later, all my friends presented me with my very own birthday cake! The cake didn’t last long as we all ate it seconds after it was presented to me. I think my current tummy ache is still a result of so much cake being eaten! I hope to have all my friends back to Nationals Park again soon so they can actually witness a game! 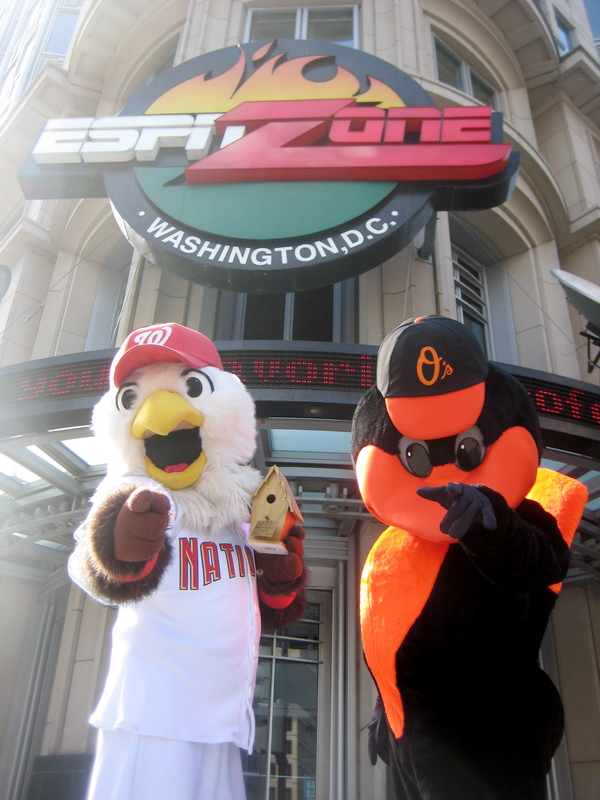 Until next time, Go Nationals!! !